The Sea Fisheries building was situated on Beach Road in Sea Point and also housed the aquarium. It had fabulous views of the South Atlantic Ocean. I was in the zooplankton section and was put to work with a microscope looking at zooplankton and phytoplankton samples. 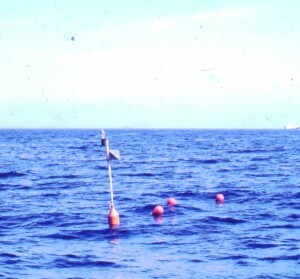 Fortunately my qualifications were highly valued and I was given a brand new research project, studying the phenomenom of upwelling, a process whereby cold water from some depth is brought to the surface by offshore winds. 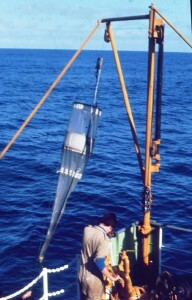 Although my boss had this specific project in mind for me he had studied zooplankton all his working life and wanted me to do use plankton distribution as my working tool. 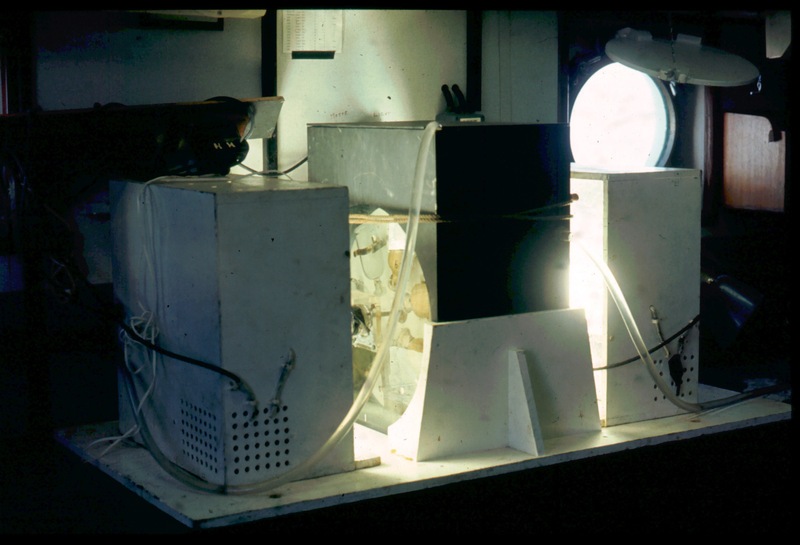 I spent many hours over the first 3 months staring down a microscope at samples that had been collected off the Cape Peninsula until I was familiar with most species of phytoplankton and some zooplankton species. 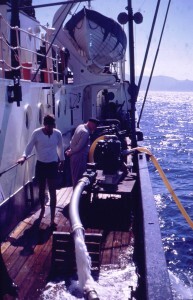 The main drive of the oceanographers prior to my arrival had been to monitor the environment and they had collected samples over a wide area each month for a number of years. 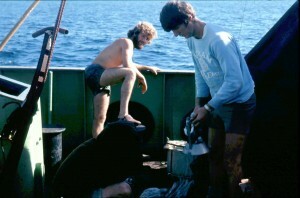 A British expedition had been to the area and had collected samples from an area stretching along 1000 miles of the west coast of southern Africa, resulting in a publication on the Benguela Current by Hart and Currie. Otherwise little had been done. It soon became evident from studying the literature and talking to other local scientists that the waters of the Cape Peninsula changed very rapidly and we would have to study them intensively. One of my colleagues from Southampton, fellow oceanographer Dave Cram, had also found a job in Cape Town, at the university. Dave was more interested in my research project than his study of marine larvae and we planned a joint experiment. I was to run a ship over an area off the Cape Peninsula, taking samples from the same location daily over a number of days to measure the changes whilst he was to cover the same area measuring sea surface temperature from the air. I planned a grid of collecting stations that we would visit as often as we could over several days. Our study was conducted in November 1968 and the results were so dramatic, because the rate of change was far more rapid than anything that had been measured before, that we managed to have a short paper published in Nature , only a year after arriving in South Africa. My immediate superior was disappointed in the direction my research had taken me as he was principally interested in the distribution of zooplankton and I was given a new recruit to work on upwelling, Larry Hutchings. We worked together extremely well and also introduced me to the pleasures of sea fishing and helped my bodysurfing skills to improve. 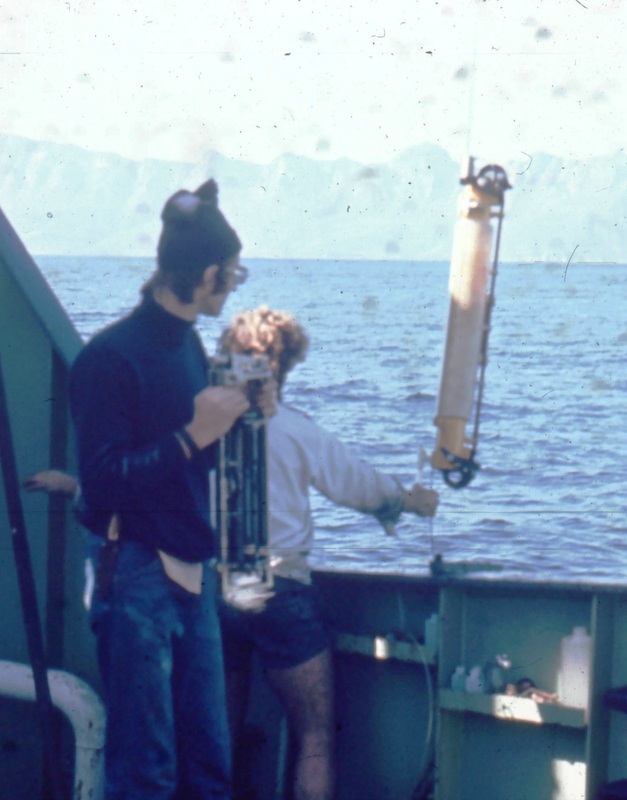 We realised we needed further skills to investigate upwelling and approached a Physical Oceanographer, Dries Visser, and a Chemical Oceanographer, Saybrand Mostad, to assist. Together we organised a more intensive survey of the area off the Cape Peninsula utilising our two large research vessels working two 12-hour shifts to cover the area a number of times in a short period. 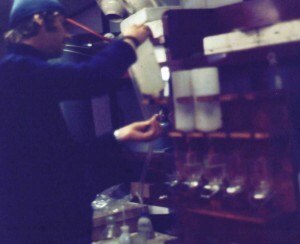 We had just purchased an automatic analyser that allowed us to sample for nitrates, phosphates and silicates on a routine basis so samples for these were frozen on board for future analysis. 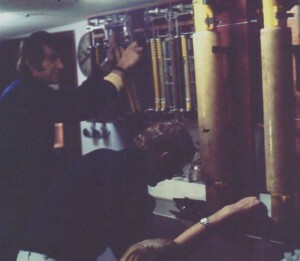 We amassed a huge amount of data on this cruise made in December 1969. The University of Cape Town had just replaced their old valve computer and we were able to use their new machine to analyse our data. These were early days and everything had to be fed into the machine via punched cards, first the programme and then the data. There was also a graph plotter but this took up all the memory of the machine so, to obtain my graphs, I had to use it in the early hours when no-one else wanted it. We preserved the plankton samples and froze the samples for nitrate, silicate and phosphate analysis but we had to do on-board filtration to analyse the chlorophyll content and do titrations to analyse the oxygen content. 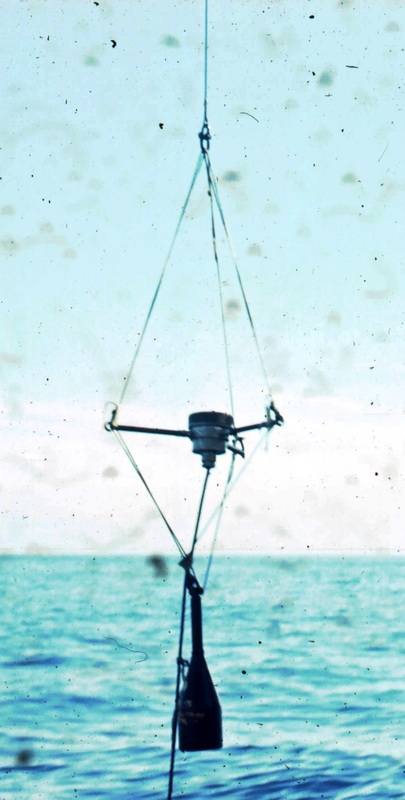 The organisation of such an ambitious project was enormous and the workload at sea very heavy but we succeeded in collecting a huge amount of valuable data which I spent the next few years analysing. Fortunately we were allowed to use the University of Cape Town’s new computer. 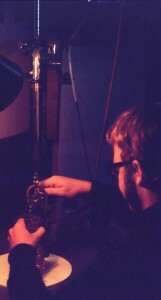 This replaced the previous valve powered machine and used punched cards as the interface. I worked out that without this facility it would have taken me at least 100 years to achieve the level of analysis I was able to achieve in just a few years. This began a lifelong appreciation of the usefulness of these wonderful machines. Our two cruises had been done in November and December, at the height of the upwelling season so we devised a second series of cruises done monthly to try to find the seasonal variation. 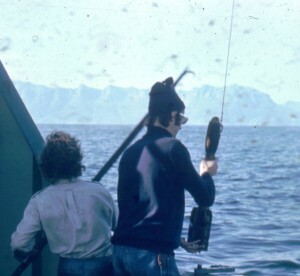 I also wanted to obtain figures for the productivity (the rate of conversion of carbon dioxide into plant material) of the area as this was the basis of the rich fisheries that our institute was there to investigate. So I proposed to my superior that we commence a programme based on a technique using radioactive carbon 14. My superior, who had never really been happy with the techniques I had chosen to use to study upwelling but had been forced to accept how successful thay had been, suddenly dug his heels in and refused to let me. I was young and headstrong and he was no longer young and stubborn. My efforts to make him change his mind were unsuttle and devious, trying to undermine his position by getting other scientists on my side. 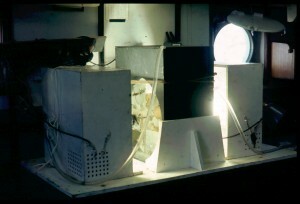 Meanwhile I was forced to use an older, and less reliable (at least this was the understanding at the time) method of estimating the productivity using the change in oxygen concentration as a measure (oxygen is a by product of the fixation of carbon from carbon dioxide). 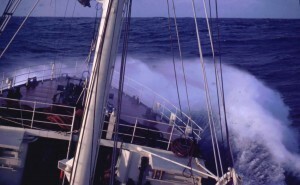 The battle simmered on for the rest of my stay at Sea Fisheries and my boss left shortly after me to study plankton at Cape Town City Museum and I have always thought that really this battle was instrumental in both of us leaving the Sea Fisheries. 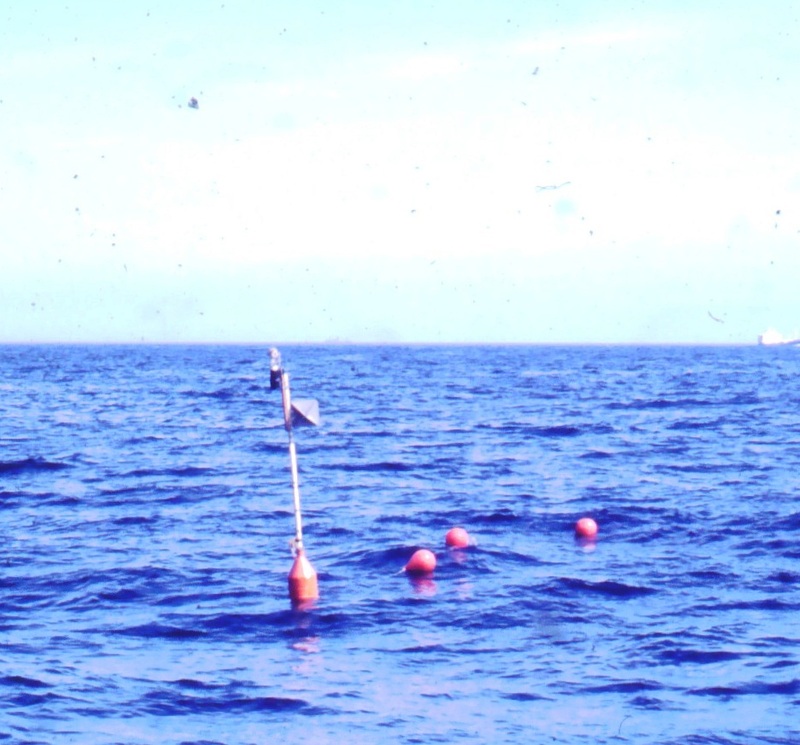 In June 1973 I was invited to give a paper on our work at a symposium on upwelling in Marseille. I honed what I was going to say at the airport. The presentation seemed to go down well but the Americans, who were there in force, many of whom I had wanted to meet, were more interested in impressing each other than in our original research which I found disappointing. I stayed for a further year after this presentation writing up the results. I wasn’t happy with the drafts and had to continue revising the results with welcome support from the editor of Progress in Oceanography for several years after I had been employed as a scientist.